East Knoyle Community Shop Association Ltd, known locally as Wrens Shop, were awarded £23,170.78 of LEADER grant funding to help finance an extension to the existing shop, install a new chiller unit and make internal improvements including new shelving units and counters. Excellent progress has been made and the project has now concluded. Further information on Wrens Shop can be found on the Wrens Shop website you can read their Case Study. Little Jack Horner’s, is a bakery specialising in sausage rolls based in Mells, Somerset. LJH has a goal to “Make the best sausage rolls you can buy” and to aide them in continuing to make delicious products LJH applied for and were successfully awarded a LEADER grant of £5014.24. This grant was used towards purchasing a large walk in oven and dishwasher to save the sanity of their chief washer-upper Pam! The grant funding also enabled LJH to employ a new member of staff. Further information on LJH and their mouth watering products can be found on their website www.ljhorners.com and you can also download a copy of their Case Study. This project has been completed. The Snell family have been farming in Somerset for five generations and in recent years have diversified into hospitality. The next venture for the Snell’s is The Trough Farm Shop. The Trough Farm Shop will combine a farm shop and coffee shop to provide the local area with a permanent and unique venue in the heart of the Somerset countryside. The LEADER grant awarded of £96,708 will be used to support the build and furnishing of the new farm shop. You can view The Trough Farm Shop’s Case Study here. The project is now completed. Yarcombe Woodland Products have secured a LEADER grant of £88,044 through the Heart of Wessex LAG. Their project entitled “Yarcombe Woodland Products: 21st Century Manufacturing” will enable the company to build an extension to an existing workshop purchase and install an automatic panel manufacturing machine and stacking line. This funding will bring the latest manufacturing technology to a small rural business, which at the current time has a problem with customer demand outweighing production. The project and its outputs are outlined in this Case Study. Nunton Farm received a grant of £17,167.67 to support the installation of a new Milk Vending Machine. The aim of this project is to sell whole milk produced at Nunton Farm through a milk vending machine at the farm gate. Milk vending machines are a relatively recent innovation that enable farms to sell milk directly to the consumer thus incurring minimal processing costs. Further details can be read in Nunton Farms Case Study. This project has now been completed and the vending machine is in full operation. Church Farm Dairy based in Semley will be the recipients of a LEADER grant totalling £20,872. 33 to support their project “Church Farm Dairy Milk”. The grant will be used to assist costs for building works, a pasteuriser, bulk tank, bottle dispenser and vending machine. Again, consumers will be able to purchase their milk directly from the vending machine located on the farm. This project is now completed. Filberts Fine Foods have successfully been awarded a grant of £39,960 to support their project “Recipes for Success!” The project entails purchasing a new food pouch filler to aid the increase in production capacity. The new packaging line will replace and enhance the current hand filling production line, and within 7 days of installation vastly increase the company’s volume capacity to produce snacks. In turn, the project will create 3.5 FTE’s. Please visit www.mrfilberts.com for further information. T.K. Jeans & Sons based in Broad Chalke are another farm taking advantage of new drilling technology. T.K. Jeans & Sons run a mixed 780 hectare, arable and dairy family farming business in the Cranborne Chase Area of Oustanding Natural Beauty and will receive a grant of £28,144.80 at a 40% grant intervention rate to purchase a Horsch Sprinter 6ST; a one pass, low disturbance seed drill. The drill will allow the farm to take a longer term, more sustainable approach to the soil health and therefore the productivity of the family farm so that it can still be a viable business for future generations. This project is now closed. The Chocolate Society an artisan producer of high quality chocolate based in Wincanton successfully secured a LEADER grant of £14,047.20 at a 40% grant intervention rate to enable them to purchase equipment to diversify into the hot chocolate and bonbon markets. The grant is being used towards four pieces of capital equipment to aid the manufacturing of these products. The items to be purchased are a Ganache Mixer, Caramaliser, Heating Cabinet and Dishwasher. Further information on The Chocolate Society and their mouth watering products can be found on their website www.chocolate.co.uk This project has recently been completed. Godminster Farm in Bruton, Somerset and their project “Moo Meters” have been awarded a LEADER grant of £12,724 to support the purchase of cow collars with a transformer that has the capability of sending information about the cows directly to the herdsman allowing there to be a constant link with the cows in their care. Godminster Farm is a local farming business supplying milk directly to local business but also has a linked company Vintage Enterprises Ltd which produces and sells cheese products. View the Godminster website for further details. This project is now completed. Downlands Tree Surgery are tree surgeons in Wiltshire who have been looking after trees at residential and commercial properties since 1997. Their work involves all types of felling, surgery works, stump removal and hedge maintenance. They applied to the Heart of Wessex LAG for a grant of £19, 080 to aid the purchase of a specialist Flail Mower capable of cutting various types of tall grass, reeds, brambles and invasive woody scrub. The grant was approved and the project in progress. Visit the Downlands Tree Surgery website for more information on their services. J D & J S Padfield are second generation farmers on Church Farm, Stratton on the Fosse. Until 2000 the farm was a dairy farm, it then moved into beef and expanded to the arable area. The applicant sought funding to support the purchase of a low disturbance drill specifically a a Horsch Low Disturbance 4 metre Drill with associated dual seed and fertiliser tanks with the objective of acquiring a drill that has the capability not only to be used as a zero till drill but also to be used for non-invasion drilling should the need arise. J D & J S Padfield were awarded a grant of £32,999.60 at a 40% grant intervention rate of the total cost of £82,499. This project is now closed. 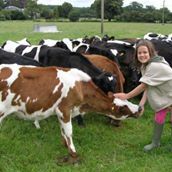 S H & G H Keen is a family run farming partnership with 300+ dairy cows and 130 youngstock. The majority of the milk produced on the farm is used to make traditional raw cheddar at the linked business Keens Cheddar Ltd. S H & G H Keen applied for a LEADER grant to enable the purchase of two pieces of machinery – a 9 metre Pichon Dribble bar and a KRM MZW Base Fertiliser spreader. The machines will allow the farm to apply inorganic fertiliser and slurry more accurately with the use of new technology, thus avoiding overlaps in the fields, reduce the time involved in the application, saving fuel and reducing the risk of pollution in case of adverse weather conditions. The machinery will help to make the most of organic materials and balance the benefits of fertiliser application against the costs involved, both in terms of economic and environmental costs. The applicant was awarded a grant of £17,257.60 towards the purchase costs. This project has now been completed. 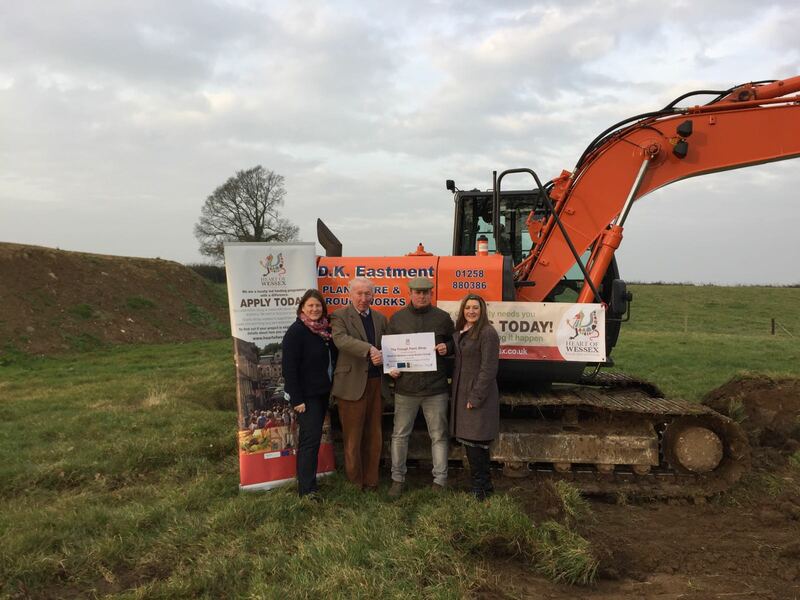 FAW Bakers Kingston Farms based in Haselbury Plucknett were awarded a LEADER grant of £78,929.79 towards their project Improving Dairy Productivity. The project will see the company installing LED lighting, rumination and activity monitoring collars and feed pushing robots to improve the welfare and productivity of the dairy enterprise. Bakers of Haselbury Plucknett is a family run farming business with a herd of 1750 cows who produce 49,000 litres of milk a day. Callen-Lenz Associates Ltd specialises in the design, development and provision of unmanned autonomous system technology for commercial use by unmanned air vehicle (UAV) manufacturers and operators. They applied to the Heart of Wessex for grant funding towards the cost of equipping a new workshop with specialised rapid prototyping and manufacturing machines and purchasing a test support van which in turn will make the business more competitive, enabling it to create two new engineering jobs. The company based in Chilmark were successfully awarded a grant of £22,556.02 at a 40% grant intervention rate. Hann Farming Ltd is a family dairy established in the 1950’s based at Rodden Down Farm in Frome. The farm has a pedigree Holstein herd of 180 cows and farms around 400 acres in total, with 300 acres owned and 100 acres of rented ground. The business applied for, and were awarded a grant of £68,148.42 in order for them to increase the productivity of the dairy enterprise by providing enhanced welfare for the dairy stock in a new building and effectively manage their waste and reusing rainwater by installing mats, a foot trimming crush, LED lighting, rainwater tank and a slurry separator system. CLG & J Wadman & Sons The applicant business is a family dairy farm that has been farming at Elliscombe for the last 40 years. Mr and Mrs Wadman farm with their three sons on 600 acres and have an award winning herd of 245 Jersey cows. The business has diversified and there is now a small farm shop, small solar park, small industrial units and contract arable farming arrangements. The business has been allocated a LEADER grant of £133,756.38 to improving the welfare and productivity of the dairy enterprise by installing a robotic milking system. Dineley Farming Company Ltd started as a farming partnership with 300 ewes 20 years ago and is located in Berwick St John. In 2011 it became a limited company and stock numbers have since steadily increased to 3000 ewes and 1000 replacements. The farm is 728 hectares and is a combination of natural chalk downland and a rotational arable forage system. 200 hectares is contracted out to an arable contractor on a rotational basis with the sheep. Dineley Farming applied to the Heart of Wessex for a LEADER grant to aid the purchase of a 5 way mobile sheep autodrafter and were successfully granted £5,683.20 at a 40% intervention rate. Orchard Farm Luxury Glamping & Campsite is a new business located in Butleigh. The applicants applied to the Heart of Wessex LAG for a LEADER grant to purchase three luxury glamping pods. The applicants were successfully awarded £24,975 towards the purchase of these pods with the project creating 1.65 FTE jobs and an increase overnight visitors to the area. Rookhaye Estate in Bowerchalke have successfully been awarded a LEADER grant of £10,351.60 to support the purchase and installation of an auto identification, activity and rumination herd management system to be added to existing farm equipment. This in turn will improve the welfare and productivity of the dairy herd. Rookhaye Estate is a family farming business with three enterprises; dairy farming, arable farming and property rentals. DV & ME Sweet & Son run a fourth generation family farm in Holton, Wincanton with 200 milking cows producing 8,500 litres of milk per cow. Their project aim is to improve dairy cow welfare, reduce costs and increase milk production by installing cubicle matting and LED lighting in the cow building. The applicants have been awarded a grant of £14,088 towards the cost of these items. Gilcombe Farm based in Bruton, Somerset were awarded a grant of £77,020 for their project “Compoost Solutions”. The project aim is to grow the compost toilet hire business by increasing the number of mobile compost toilet units available to hire and employing additional staff to manage the additional workload. The project outputs will provide 7.5 FTE’s, and an increase in wage bill of £146,500 with one business directly benefitting. The grant is being used to fund the new toilet units and transport trailer. MattiMia Confectionery The applicant business, Mattimia Confectionery was started in 2011 after a previous business Fernstrom & Farrell which was a delicatessen in Wincanton, was sold. Mattimia is a partnership business with two employees. The business produces artisan bread, cakes and crackers. 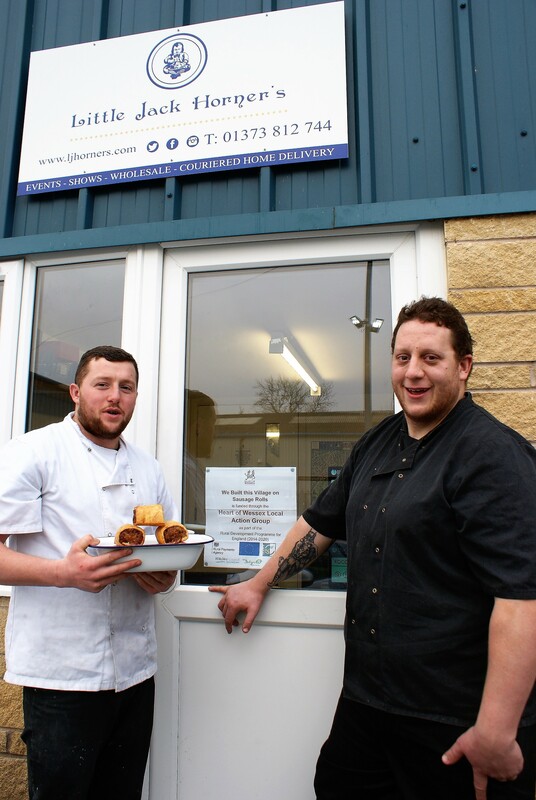 MattiMia Confectionery have been successfully awarded a LEADER grant of £5,920 to enable the purchasing and fitting of a bun baking oven to help with the growth of the business which will create a new job. CE & BD Bailey based at Bow Barn Farm in West Chinnock have been granted £16,938.58 of LEADER funding through the Heart of Wessex LAG. Bow Barn Farm was purchased in 1972. The farm is now about 258 acres and a further 277 acres is rented. The dairy herd has been built up to about 145 cows in milk plus 30 dry cows and there are plans to increase the herd to 180 in milk within 2 years. The herd are holstein freisians and the average milk yield is currently 9,100 litres. There is also a 200 beef herd and 60 pedigree poll dorset sheep. The LEADER grant will be used to purchase cattle health monitoring collars, mobile cattle handing race and a drafting gate to improve dairy cow welfare, reduce costs and increase milk production. Tom Patrick Tree Services is a small established forestry business based in Dinton, Salisbury. To enable the expansion of the business and create a new job a LEADER grant of £47,128 was awarded to aid the purchasing of machinery suitable for use in harvesting low grade timber and coppice material on steep and wet terrain. The whole project cost was £117,820 and the grant awarded at a 40% intervention rate. Peckmoor Farming Ltd based in Crewkerne are an expanding farm diversification business that provides luxury holiday lodges. The applied for grant funding to help with the purchase of another four lodges which will result in creating three new jobs. Their project “Luxury Lodges” has been awarded a grant amount of £97,779.16 at a 39% grant intervention rate. The lodges will be available to hire from Spring 2019.